This post was contributed by Professor Ian Crawford, from Birkbeck’s Department of Earth and Planetary Sciences. It was originally posted on the Centauri Dreams blog by Paul Gilster on 10 June 2016. On 8 April, Professor Crawford organised a Royal Astronomical Society Specialist Discussion Meeting. Here, he discusses themes explored at the event. We get to the stars one step at a time, or as the ever insightful Lao Tzu put it long ago, ”You accomplish the great task by a series of small acts.” Right now, of course, many of the necessary ‘acts’ seem anything but small, but as Ian Crawford explains below, they’re a necessary part of building up the kind of space economy that will result in a true infrastructure, one that can sustain the exploration of space at the outskirts of our own system and beyond. 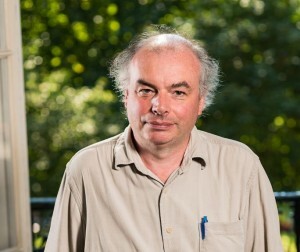 Dr. Crawford is Professor of Planetary Science and Astrobiology in the Department of Earth and Planetary Sciences, Birkbeck College, University of London. Today he brings us a report on a discussion of these matters at the Royal Astronomical Society earlier this year. There is increasing interest in the possibility of using the energy and material resources of the solar system to build a space economy, and in recent years a number of private companies have been established with the stated aim of developing extraterrestrial resources with this aim in mind (see, for example, the websites ofPlanetary Resources, Deep Space Industries, Shackleton Energy, andMoon Express). Although many aspects of this economic activity will likely be pursued for purely commercial reasons (e.g. space tourism, and the mining of the Moon and asteroids for economically valuable materials), science will nevertheless be a major beneficiary. The potential scientific benefits of utilising space resources were considered at a Specialist Discussion Meeting organised by the UK’s Royal Astronomical Society on 8 April. This meeting, which was attended by over 60 participants, demonstrated widespread interest in the potential scientific benefits of space resource utilisation. A report of the meeting has now been accepted for publication in the RAS journalAstronomy & Geophysics and videos of the talks are available on the RAS website. Scientific utilisation of the transportation and other infrastructure developed to support commercial space activities. Specific examples of scientific activities that would be facilitated by the development of a space economy include the construction of large space telescopes to study planets orbiting other stars, ambitious space missions (including human missions) to the outer Solar System, and the establishment of scientific research stations on the Moon and Mars (and perhaps elsewhere). In the more distant future, and of special interest to readers of Centauri Dreams, an important scientific application of a well-developed space infrastructure may be the construction of interstellar space probes for the exploration of planets around nearby stars. The history of planetary exploration clearly shows that in situ investigations by space probes are required if we are to learn about the interior structures, geological evolution, and possible habitability of the planets in our own solar system, and so it seems clear that spacecraft will eventually be needed for the investigation of other planetary systems as well. For example, if future astronomical observations from the solar system (perhaps using large space telescopes themselves built and paid for using space resources) find evidence suggesting that life might exist on a planet orbiting a nearby star, in situmeasurements will probably be required to get definitive proof of its existence and to learn more about its underlying biochemistry, ecology, and evolutionary history. This in turn will eventually require transporting sophisticated scientific instruments across interstellar space. However, the scale of such an undertaking should not be underestimated. Although very low-mass laser-pushed nano-craft, such as are being considered by Project Starshot, could conceivably be launched directly from Earth, the scientific capabilities of such small payloads will surely be very limited. Initiatives like Starshot will certainly help to develop useful technology that will enable more capable interstellar missions later on, and are therefore greatly to be welcomed, but ultimately much more massive interstellar payloads will be required if detailed scientific studies of nearby exoplanet systems are to be conducted. Even allowing for future progress in miniaturisation, a scientifically useful interstellar payload will probably need to have a mass of at least several tonnes, and perhaps much more (as I have discussed in this recent paper in the Journal of the British Interplanetary Society). Moreover, in order to get this to even the nearest stars within a scientifically useful timescale (say ≤100 years) then spacecraft velocities of order 10% of the speed of light will be required. This will likely require vehicles of such a size, with such highly energetic (and thus potentially dangerous) propulsion systems that their construction and launch will surely have to take place in space. The potential long-term scientific benefits of an interstellar spacefaring capability are hard to exaggerate, but it seems certain that it is a capability that will only become possible in the context of a well-developed space economy with access to the material and energy resources of our own solar system.